Glenohumeral Arthritis - Anatomy & Causes - Jeffrey H. Berg, M.D. Glenohumeral arthritis is arthritis of the main shoulder joint. As you may recall from earlier posts (here and here), arthritis is the deterioration of a joint. A joint is where two opposing ends of your bones meet. When the joint is healthy, cartilage covers the bone ends. Cartilage is the slippery, smooth, white substance we see at the end of a chicken bone. It is nearly frictionless and it contains no nerve fibers. As a result, when we have intact cartilage, the ends of our bones are protected. Uncovered bone ends are rough and expose the nerve fibers within them. As a result, when the overlying cartilage is unhealthy or absent, we feel pain. Since the surfaces are rough, we may also feel grinding, crunching or have joint stiffness. The glenohumeral (or shoulder) joint is made up of two main bones: The Humerus (ball) and the Glenoid (socket). Both are covered by cartilage when the joint is healthy. Normally, this joint has more mobility than any joint in the body. When glenohumeral arthritis occurs, the unhealthy cartilage falls off the surfaces of the two main bones. This exposes the rough bone surfaces which contain numerous nerve fibers. This is responsible for pain, stiffness and the grinding sensation that is often experienced. The capsule is a soft tissue lining that holds the joint together. Additionally, by surrounding the joint, it forms a closed space. As a result, the cartilage fragments that have fallen off the bone ends can’t escape the joint. These fragments will sometimes find a crevice or fold where they can settle into. Often, however, they continue to float around the shoulder. These pieces, along with the exposed surfaces of bone are irritants to the capsule. In response to the irritation, the capsule produces fluid. Since the fluid has no way out of the joint, it builds up. The subsequent increased pressure causes further pain and stiffness. There are numerous reasons that arthritis, including glenohumeral arthritis, develops. One of the main reasons is a genetic predisposition – If you have it, blame your parents :-). Glenohumeral arthritis may also occur after any trauma to the shoulder. Cartilage has no blood vessels and as a result it cannot heal damage. So any injury to the shoulder, whether it is a joint surface fracture, infection, or any other injury can ultimately lead to arthritis. 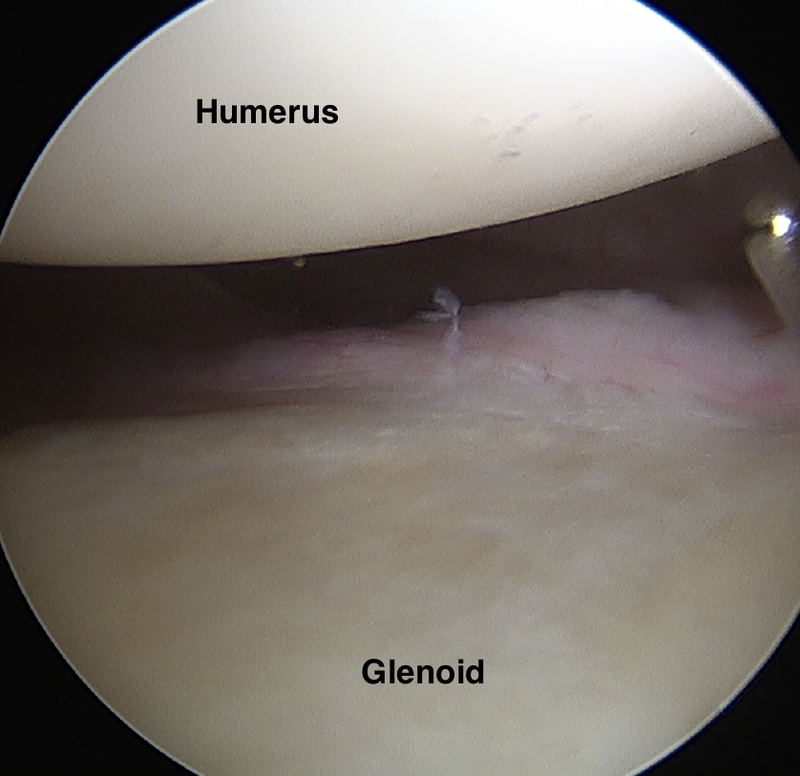 Another common cause of glenohumeral arthritis is simple wear and tear over time. Your cartilage can wear out like treads on a tire. The more active you are, like the more miles you put on your tires, the quicker your cartilage can wear out. This can occur from doing too much activity or it can occur when the load across your joint is excessive, as is seen with obesity or from prolonged weight lifting. Finally glenohumeral arthritis can result from some particular medical conditions such as rheumatoid arthritis, psoriatic arthritis, lupus, and other inflammatory processes. In these conditions, your body views the cartilage of your shoulder joint as an invader and attacks it. Ultimately it can destroy the joint – causing glenohumeral arthritis to develop and become symptomatic. 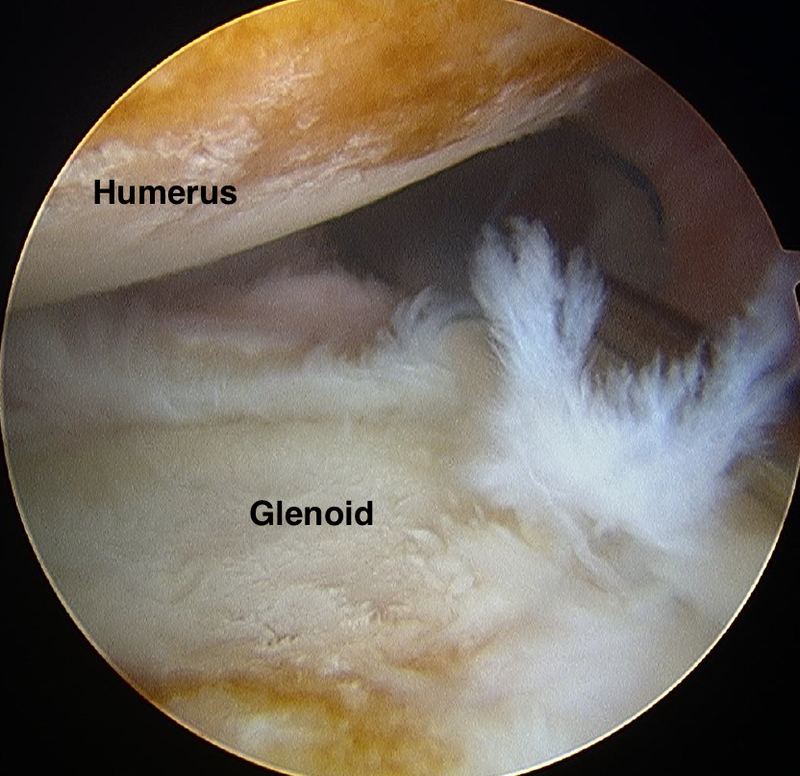 Glenohumeral arthritis is a common source of pain, stiffness and poor shoulder function. Some of the causes are preventable. Many are not. 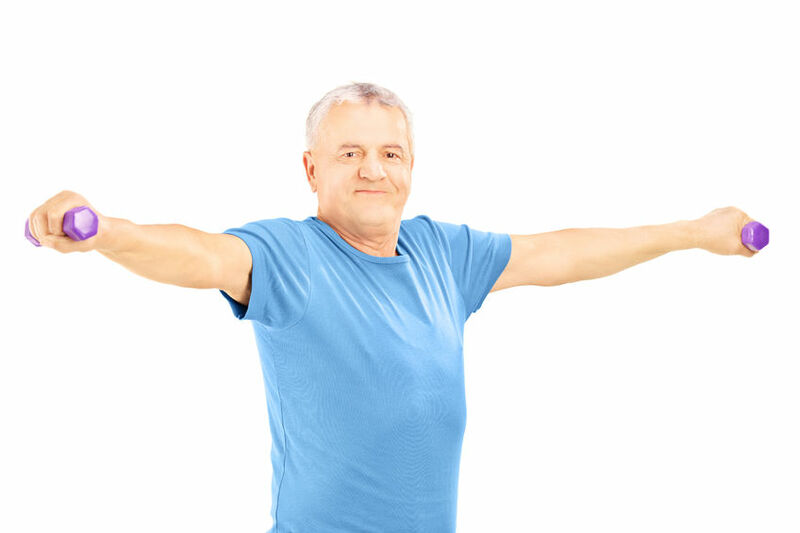 Nonetheless, if you suffer from glenohumeral arthritis, there are ways to help. So, if you do – see your Orthopedic shoulder specialist to get an evaluation and the care that you need.